Averi Rain has always been in love with one man. The problem is, he's always loved everyone else. Ian O'Neal has been known for his reputation with the ladies, and has never really cared about any of them for longer than a one-night stand. He's known Averi since they were both in high school, and had always harmlessly flirted with her, never really seeing her for the woman she's become. Forced to spend more time together to help their friend, he begins to see how sweet and funny she is, not to mention having curves in all the right places, and he sets out to win her heart. Unfortunately for Ian, a handsome fireman has Averi in his sights, and now, for the first time, Ian has to compete for her affections. A series of events throws Averi and Ian together giving Averi a glimpse of the man Ian really is, and she likes what she sees, but she also can't bear the thought of having her heart broken, when he moves on to the next conquest. Will Averi settle for the stability Alex can offer, or will she give her heart to the one man who can break it for good? Can Ian prove to her that he's worthy of her love, or will the new man in her life steal the future he's set his sights on? 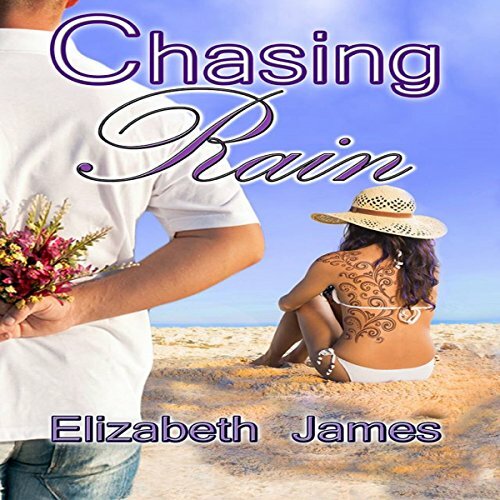 Will Ian find love for the first time, or will he be forever - Chasing Rain? Find out. What made the experience of listening to Chasing Rain the most enjoyable? I loved that the author told the story thru both main character's point of view. We could hear what each were thinking. I loved Ian best. He stuck with chasing what he wanted and didn't give up on Avery, even when she thought he wasn't worth it. This was a fun book to listen to. The 2 main characters were brought together by a puppy, and learned that they each had loved each other all along.